Jim practices in a wide range of domestic and international tax areas. Jim is the leader of the firm's Tax Dispute Resolution Practice Group, and he regularly assists clients with tax controversies with the Internal Revenue Service and the New York State Tax Department, including in domestic and offshore voluntary disclosure matters. He has helped hundreds of clients avoid or minimize penalties when coming into compliance with foreign account and asset reporting requirements, such as the FBAR and IRS Forms 926, 3520, 3520-A, 5471, 5472, and 8938. He also frequently handles matters before the U.S. Tax Court. In addition, he advises international clients on the U.S. tax implications of the loss of U.S. citizenship and lawful permanent resident (“green card”) status and on issues under the Foreign Account Tax Compliance Act (FATCA) and U.S. anti-deferral tax regimes, such as the controlled foreign corporation (CFC) and passive foreign investment company (PFIC) rules. He also regularly counsels clients on tax and corporate issues related to business operations, acquisitions, and sales, as well as advantageous business structures for tax planning purposes. Jim is a frequent speaker on U.S. tax law, especially in the foreign account and asset reporting context. Jim annually presents to various accountant groups on updates to U.S. income tax laws and regulations, and administrative changes by the IRS. Jim also is a regular contributor to the Canadian Tax Highlights publication, and he has written for the Journal on Business Entities and contributed to local news stories on tax changes. 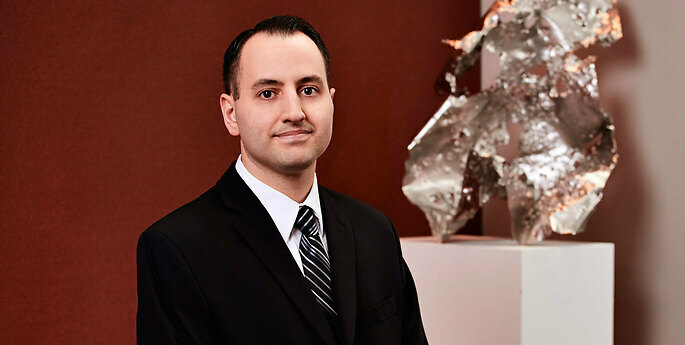 Prior to joining Hodgson Russ, Jim was a judicial intern for Judge Howard G. Munson, U.S. District Court for the Northern District of New York, and a law clerk for the U.S. Attorney's Office for the Northern District of New York. Jim exclusively practices U.S. law, is a Foreign Legal Consultant, Law Society of Upper Canada and is admitted to practice in New York. Jim contributed to the archived Hodgson Russ Canada/U.S. cross-border blog, Smarter Way to Cross. His entries can be found on the Publications page.